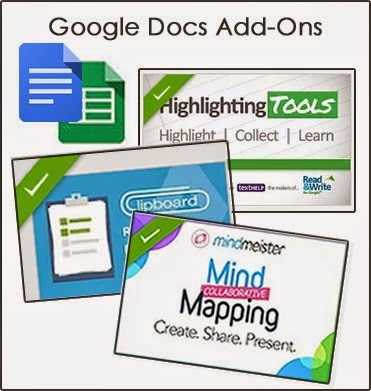 Google Docs Add-Ons are new tools created by 3rd party developers that add functionality to Google Docs. Users can access and search for Add-Ons through the menu bar in any Google Doc or Spreadsheet. There are many handy tools to Add-On to Google Docs to improve efficiency and help get work done, and there is even a section for education. Here are a three of my favorite Add-Ons, which I believe are well-suited for teachers and students. The experience of bringing together a group of teachers through a common learning goal this summer has been amazing. Now nearing the end of the ThingLink Teacher Challenge Week 7, participants are creating interactive images and self-publishing them all over the world wide web. Interactive images created for the TL Challenge are embedded in thoughtful blog posts written by participants. Shared images can be found in Google+ discussions. Short and concise descriptions are circulating through the Twitosphere. 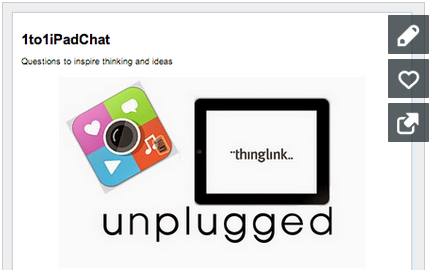 Teachers are definitely collaborating about ThingLink. 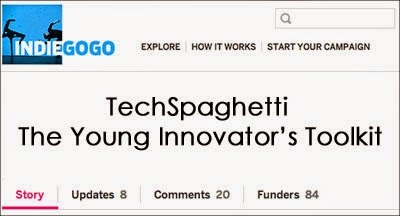 At this point, the technology has become easy and the tool feels quite powerful. 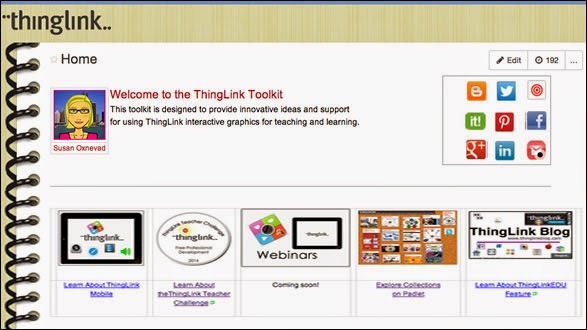 Ideas and confidence influence our decisions to integrate new tools in innovative ways with ThingLink. We are building our digital toolkits as we put new tools to the test. The power of possibilities brings out the true teacher in us all as we begin to discover learning opportunities everywhere. This is exciting. The interactive images created in this stage are showing strong elements of design. Images are designed to be visually appealing and they include a variety of multimedia to support unique learning styles. There is thoughtful placement of icons to guide learning and create a pleasurable audience experience. ThingLink remains exciting. The possibilities flood our minds. The design of the teacher challenge was influenced Dr. Ruben R. Puentedura’s SAMR Model of tech integration. 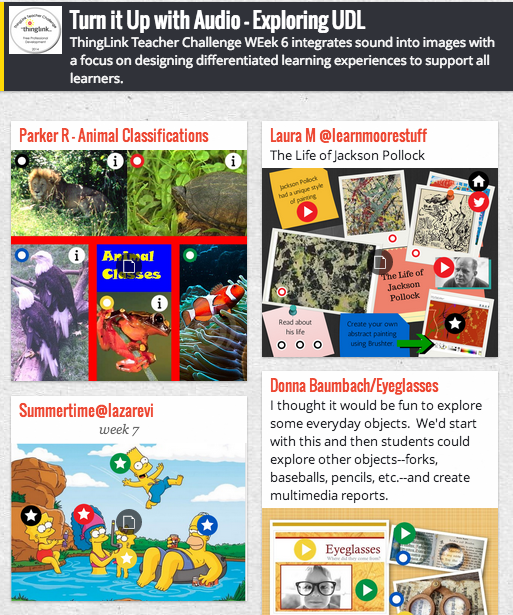 I created this interactive image earlier this year to present a look at ThingLink Through the SAMR Len. Explore this interactive image to learn more or read about it on the ThingLink Blog. Would you like to design student-driven learning experiences that require students to construct knowledge as they create – an idea supported by the Common Core State Standards? This could be easier than you think. The Google Docs Presentation tool can be a great starting point to begin breaking the barriers of traditional tech integration and help you design student-driven learning experiences. 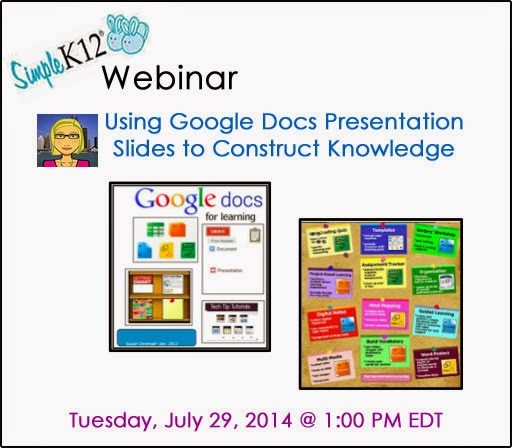 Join me and Simple K12 for an in-depth look at the features available in this collaborative and user friendly tool and learn to use Google Docs in innovative ways that go well beyond the typical student presentation. Templates to get you started also will be provided. Explore this interactive graphic to learn more, get resources and sign up. 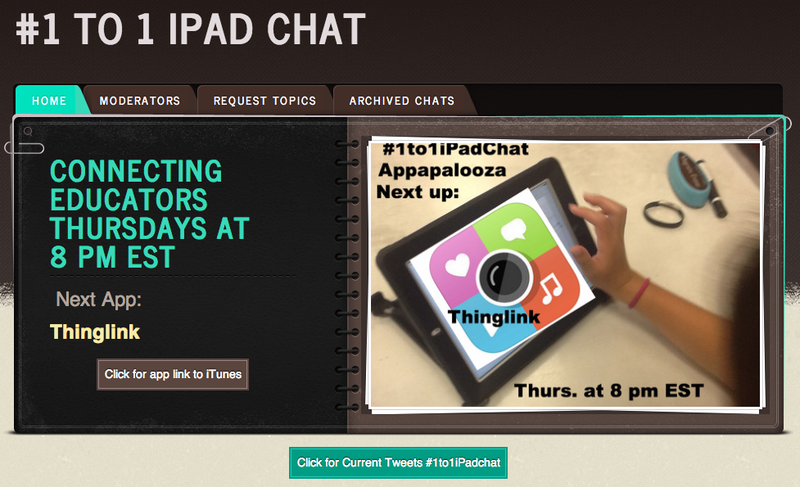 This weeks ThingLink Teacher Challenged asked participants to focus on audio as they design lessons. We introduced Audioboo as an integrated web based platform and app that easily captures and collects audio for use. The goal of this challenge is to use ThingLink to design a multimedia rich learning experiences to support the diverse needs of all learners. 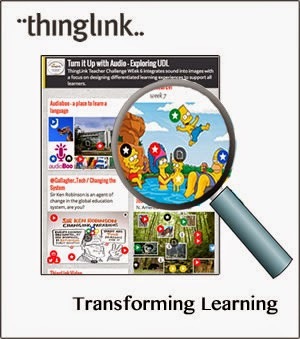 ThingLink is a multimedia rich and flexible tool that can be used to design learning experiences built for success, putting power in the hands of the facilitator of a well designed lesson. Built-in supports are helpful to many learners for many reasons. Universal Design for Learning supports the idea of designing lessons from the start that are equipped with support for all learners to overcome learning barriers and to meet their diverse learning needs. What this CAST video, UDL at a Glance, enhanced by ThingLink for Video. Turn it Up with Audioboo on Padlet. In preparation for the event, Dena advised me to write 6 questions to guide a discussion and provide examples. I did that and I also scheduled the timed released tweets through Tweet Deck. These tips from Dena helped tremendously. difficult time keeping up with Twitter Chats. I did see my questions in the hashtag feed, but they were just there. I don’t think anyone responded, but I did notice some people retweeting them. Still, the answers and questions were hard to follow. We were all talking about other things, and that was a good thing too. To organize and share the questions and examples from the Twitter Chat I used a Google Form as a model for a content delivery method that works well with learners, young and old. This Google Form is designed to introduce ideas and provide the opportunity for feedback. If you please, you can view the questions and examples without actually responding to any of them. Click on the icon or link and you will be taken away from this blog to the Google form where all questions are optional and feedback is appreciated! 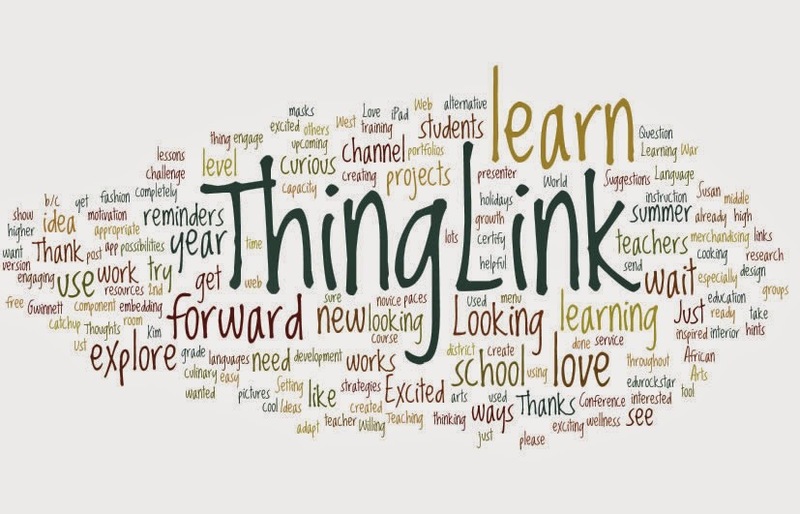 This week’s ThingLink Teacher Challenged asked participants to grab their mobile devices, get away from wifi, and explore use of the ThingLink App beyond the walls. The ThingLink app makes the most out of the ease of use of the camera and video capabilities available on iOS and Android, allowing users to capture life on the go and become engaged in the learning at the moment. This week’s images are self-published on a Padlet Wall. Watch it grow. View wall. I often collect information through Google Forms. 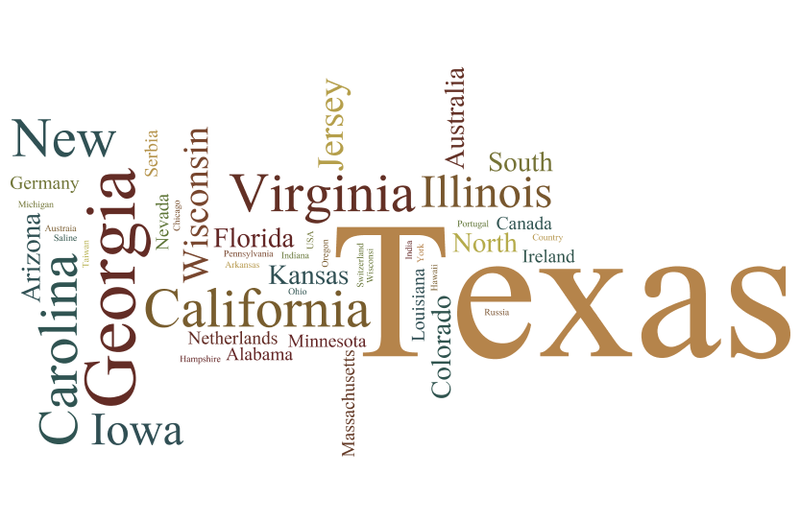 With all that text in front of me, I like to Wordle it to get a different and interesting view. 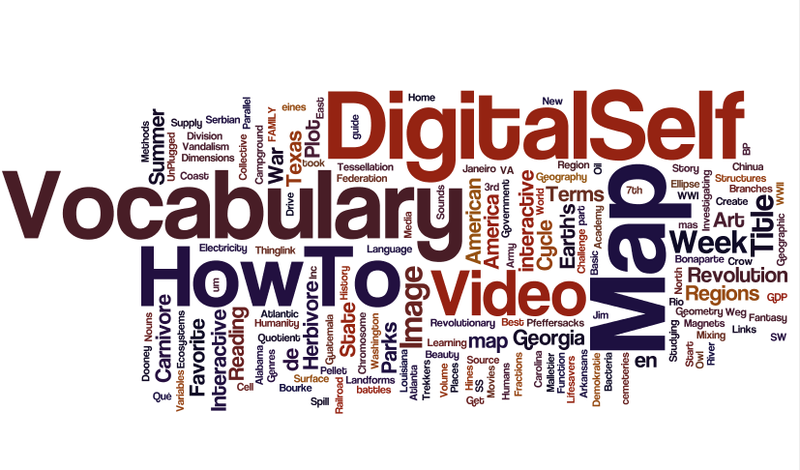 Today I wordled a few columns from the ThingLink Teacher Challenge spreadsheet.